As many of our active social media followers may already have noticed, we're starting to roll out an all new plastic blend coined the Discmania G-line. Aside from being probably our prettiest plastic blend to date with metallic shimmer in the plastic making each disc look unique, the G-line also just might also be the grippiest plastic blend in the market. The G-line is developed from Innova's popular GStar material and much the GStar is a flexier and grippier blend of Innova's Star plastic, the G-line could be described as a flexier and grippier blend of our popular S-line material. While the G-line material is noticeably softer than our other plastics, our initial testing has shown that despite it's soft grip, very few players would consider the G-line plastic too floppy for their use. Another great benefit of this plastic is also the great grip it provides even in very cold weather. Despite being a spot on pick for summertime play, the G-line is also probably the best choice of plastic for cold winter rounds. So far we've made three models available in G-line material in the form of limited test releases & fundraiser discs. The G-line FD will most likely to be added to our regular selection some time in the coming months, but at the moment it's available as a limited First Run release at the Discmania Store. The 2nd G-line release currently available is the First Run G-line P2, also available at the Discmania Store. So far we've only run a very limited number of these First Run G-P2's and the feedback we get from our customers will determine whether we'll see the G-P2 in regular production in the future. Check out the very nice G-P2 review video by United Disc Golfers below or see what All Things Disc Golf had to say about it here. 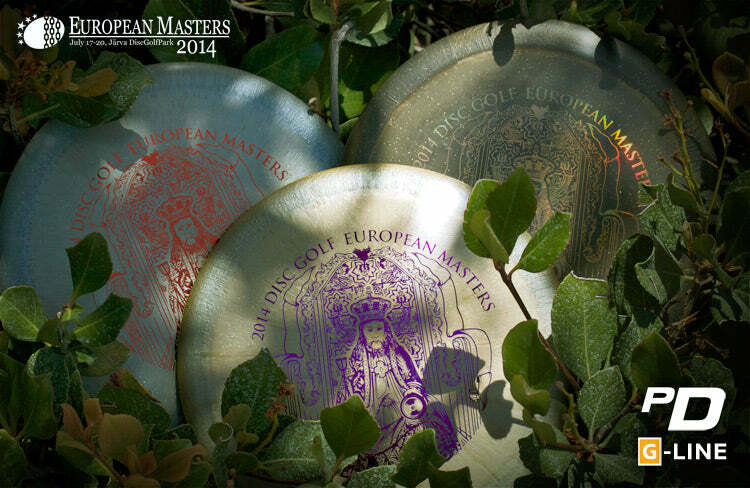 Support the European Masters by picking up a G-line PD! Our most recent G-line release is the highly anticipated G-line PD, and the first release works as a fundraiser for the upcoming Disc Golf European Masters. All Things Disc Golf was kind enough to do a review of the PD too, be sure to check that out here. All of the aforementioned G-line models are already available for purchase at the Discmania Store USA and they will also become available in Europe thru InnovaStore and likely some other selected dealers too in the future. Read more about our plastic blends here.